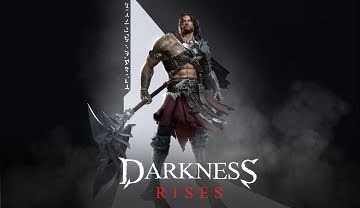 Here'a a skill build and combo patterns for players playing Berserker class in Darkness Rises, a hack and slash action adventure Android and iOS mobile game. Berserker - A battle-crazed berserker who pummels opponents with his axe. Few enemies can stand up to his furious assault. 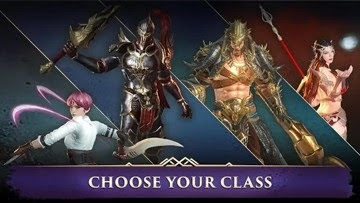 - Please refer to this guide first because I will no longer explain some things here including Skill upgrading, PVP Duel or Team Tips, Player Skill importance and more. - Aside from Damage Output and DPS, it is also important to consider their extra Effects (Stun, Atk/Defense debuffs, Knock enemies into the air, etc..), Single Target or AoE, how easy to execute, and more. - Skill Combos will also include potential Auto Attacks (AA) for extra damages. Preferably, during "Air Locks", because targets can't do anything during this time! - Switch to "PVP mode skill select" to check their base damages, cool-downs, and extra effects, or just try them out in PVP Skirmish Mode. - *Note: When creating Skirmish mode Duel or Team PVP, make sure to tick the Public option to make your room open to all. 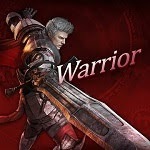 - Great base damage output, perfect skill for our DPS type Berserker. It's short cool-down will allow us to use combo skills every 9~11 seconds, increasing the skill's DPS potential! - Glacial Snap is your base nuke skill with extra Slow debuff, upgrade early on to increase it's damage output! - Note: Do not spam all 3 skills below, just alternately use Prey Snatcher and Grapple, together with Glacial Snap. Unless you need 1 more skill to get the win. - Snatcher is your initiator and stun skill, you should master how to use this properly. One way is to move until you see the opponent right at the edge of the screen, then quickly move forward for a few steps and execute. 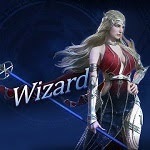 - Easier against non moving foes like Wizards who likes to spam auto attacks. - Snatcher can also be used right after the enemy dashes or use any skill, just time it well. - After this combo, wait for your Glacial Snap to cool-down, then use the next combo below. - Grapple is also a stun skill with awesome range, use it as your initiator skill for Glacial Snap. After this combo, wait again for cool-downs and use combo 1 above. - Learn how to use and connect your initiator skills, anticipate enemy movements, and bait attacks to open up opportunities. Dash towards the enemy and execute, or use any sneaky moves you have. The best part is, even if you miss one, you still have a chance to connect your Glacial Snap. - It is so much easier to dish your nuke and ultimate skill by using this build. - Honestly, this is one of the best ways to use these stun skills, without worrying about their cool-downs, and while keeping a good overall DPS. - These skills are also possible alternatives for Glacial Snap above, but it would give lower overall DPS. 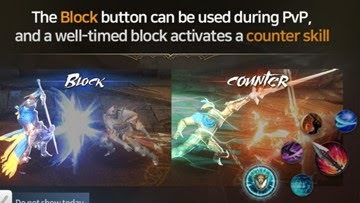 Thunder Slash only requires 8~6 seconds cool-down but you need to wait for a few seconds more just to cast it together with your stun skills, if only it has higher base damage, it would be great. - Possible alternative to Grapple, but DPS won't increase if used with this build. Grapple is also much more useful for Team PVP, so it's better to focus on few skills first to maximize Skill Points early on. - Damage output and DPS is also good if you can chain all combos. - The only drawback with these skill builds during Duel PVP is that, once the Snatcher missed for example, these moves are pretty hard to execute, thus decreasing it's DPS big time! Remaining skills are also predictable because most will chase you just to try and spam their melee ranged skills. - My recommendation: It's better to upgrade them at later levels once you max out your main skills, focus on few skills first during early to mid game for all around use. - Other skills are usable too, depending on your preference or play style. - Some of them are also viable to use, but upgrading them would also diversify your Skill Points early to mid game. 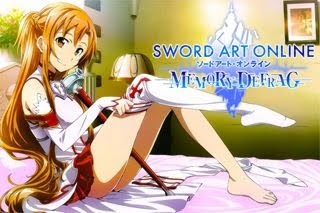 - Learn other skills that you like at later levels instead, since you'll be able to max them all out anyway. - These 3 are still the best skills to master for PVP. - Berserker's auto attacks are really slow, so you don't want to stay long if there are enemies nearby. Dash in and out of battles to avoid getting huge damages. - If you have the chance, go and help your teammates even if you have slow attacks (to get Assist Points), but be aware of your enemies' locations, and dash out if it's too risky to continue with your AAs. - Use your Block, Counter, and Dodge if needed. - Glacial Snap's slow effect would give your teammates better accuracy, just watch it though because this skill will push away targets, so time it well and don't push enemies that your teammates just stunned for example (if possible, re-position your character to push them to the wall instead). - Note: Do not spam all 3 skills below, just alternately use Prey Snatcher and Grapple, together with Glacial Snap. Unless you need 1 more skill to get a kill. This will give you 2 skills combo every 9~11 seconds, increasing the skill's DPS potential! - Always use your dash when entering clashes, then quickly spam your Grapple skill to stun nearby enemies. Grapple's AoE range is really good, even if it has long cool-down, but no worries about that if you are using this build. - This is where Berserkers truly shines, getting "Ring Outs". If you see foes near those edges, dash in and use your stun skills then quickly position your character and use Glacial Snap to push them out of the ring! If you can position your character fast (with or without block and/or dash), you can use Glacial Snap without stun skills too. - It may or may not work though, but still worth the shot! - With Grapple, it is very possible to Ring Out 2 or all 3 characters if you are lucky ~ lol! - Optional: You can also use your Snatcher to hook 1 target near the center then quickly re-position closer to the edge and use Grapple > Glacial Snap Haha! - Note: Do not overdo it though because you might end up just standing near those edges waiting for targets ~ lol. Go ahead and use your skills to help your teammates, and only do Ring Outs when opportunity appears. - Just focus on few skills first during early to mid game for all around use, to maximize your Skill Points. 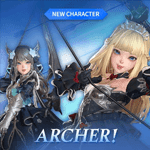 - Learn other skills that you like at later levels, since you'll be able to max them all out anyway. 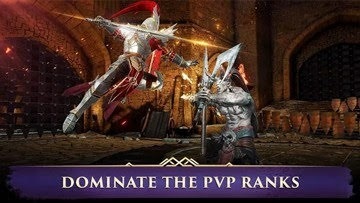 - Unlike Duel PVP, Team PVP will give you a lot of opportunities to accurately use your skills, so spam them and gather kills and assist points! - Go all out and spam your skills if there are enemies nearby, because you'll get interrupted if you are using Auto Attacks while doing combo skills, after that, just dash away. - NOTE: Only proceed with the builds below after getting your main skills high enough first, for all around use. These builds are recommended for experienced players because this requires timing and accuracy, plus you need to upgrade them first at higher levels to be on par with the above skill build. - Here's another approach that I use for Team PVP because they give higher DPS output! Note that the above build is still viable for late game, these are just alternatives to also try other skills. - Glacial Snap: Your best DPS skill, with slow debuff before using Venom Grenade. - Venom Grenade: Fast cast AoE debuff skill with great DPS! Having a second ring out skill is also handy against those targets that are immune to push effect while using skills. - You may also spam them separately whenever they are available depending on the situation. - Grapple: Since you are pushing enemies most of the time, this is a perfect balance for your team play. This serves as your solo skill, so just cast it whenever it is available to help your teammates and kill low health foes, no need to reserve it for combos just dash in and spam! Only do Ring Outs when the opportunity appears! - Only when all 3 skills are available. - Note: You can actually replace Grapple with any other skill you like, and your DPS will go even higher since this skill has the lowest DPS rating. I prefer Grapple because of it's stun AoE, ring out, and team play potential. Besides, with Glacial and Venom Grenade, overall DPS is still great, just spam all 3, no need to wait for all of them to cool-down! - You can also try using Pyro Bomb (AoE spam), Spinning Frenzy (Nuke), or even Thunder Slash (DPS), depending on your preference and play style. 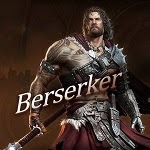 - Berserkers have wide and powerful skill set-ups, you just need to connect them well. Example: Spinning Frenzy > Pyro Bomb > Venom Grenade = that's 800% total base damage every 14~12 seconds! - Glacial Snap and Venom Grenade same info above, use as your 2 Skills Combo or separate depending on the situation. - Earthshaker: Using this skill as your "spam solo whenever possible skill" means that you are playing a Full Debuffer Build! Slow effect with Defense and Attack Reduction debuffs! - Go and enter clashes and spam these skills any way you like, don't worry DPS is also great with this one, just spam Earthshaker, no need to wait all 3 skills to cool-down. - Spinning Frenzy was my first favorite Berserker nuke skill but it's very long animation lowers it's DPS (than what is stated above). Be careful though when using, because it is also a double edged sword because you can lock your target and yourself as well. Good if you have allies around but it's really bad if enemies are nearby because you'll be open or vulnerable from long ranged nukes from Warrior and Wizard skills (including AAs). - I did not mention them all because some of them are hard to execute or use with other skills, the risk isn't worth it, or they are more effective against weaker opponents. - Once you figure out what to use for PVP, you can now easily select which PVE skills to get. - As much as possible only focus on 3 skills trees for both PVP and PVE to maximize your Skill Points, especially early to mid game. - Try other skills once your main skills are maxed. 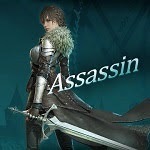 - Based from the recommended PVP skills above, use and upgrade the following skills. 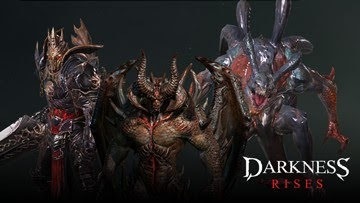 - Notable DPS for PVE, no need to upgrade them early game if it is only used for PVE, but do upgrade if you need more fire power, and have extra skill points at later levels. Cap it to Lvl 9~30 first (multiples of 3). - Use this Skill tree early game for PVE until you reach at least Prey Snatcher (Lvl 30+) + Glacial Snap (Lvl 30+). Replace Bestial Charge + Venom Grenade with Prey Snatcher + Glacial Snap for PVE at this point to get better DPS. - Continue and max Prey Snatcher (Lvl 30+) + Glacial Snap (Lvl 30+) to increase their base damages and decrease cool-down. - Upgrade Venom Grenade to Lvl 30~45 then max later, if you will use it for Team PVP (check alternative skills builds above). - You may cap Prey Snatcher to Lvl 45, if you will use Venom Grenade for Team PVP. - At the later stage of the game, replace Prey Snatcher + Glacial Snap with maxed or high upgrade Bestial Charge + Venom Grenade for PVE (better DPS), but only upgrade them after all main PVP skills are maxed. - No need to upgrade Earthshaker if only used for PVE. - Max Grapple, especially to reduce it's cool-down asap! - Replace with Spinning Frenzy + Pyrobomb for PVE late game, but only upgrade them after all main skills are maxed. - Please note that this is not the only way to play Berserker, also try other skills as well since you can max them all in the end. - If you find any discrepancies with the skill info above (base damage or CD) due to game update patches, please notify us, thanks.